Past Events – Friends of Parker River National Wildlife Refuge, Inc. In addition to another excellent lecture by Mary Ellen Lepionka, we were pleased to welcome a delegation from the Massachusetts Center For Native American Awareness led by Anthony "Sky Hawk" Silva. 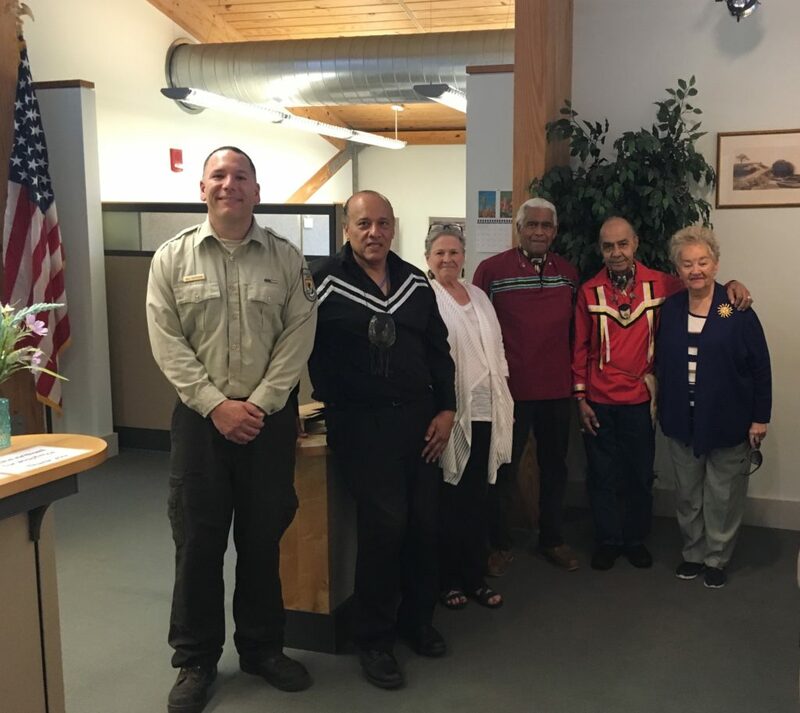 At the start of the lecture, elder Hobie "Many Walks" Sanford presented the Parker River National Wildlife Refuge with a ceremonial "Talking Stick", accepted by Bill Peterson, Manager, Parker River NWR. The Talking Stick is held by the speaker at important meetings, signifying the speaker's role and the audience's responsibility to listen.